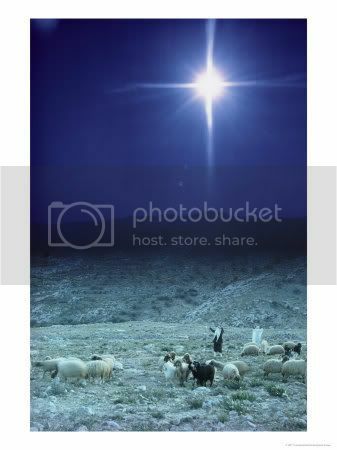 Faithful God, on this Silent, Holy Night you gave signs that Christ was in the midst of the Wise Men, Shepherds, and others in and around Bethlehem. The Star that led the way, the Angels breaching the veil of heaven to announce the birth of our King, and the prophecies of hundreds of years earlier all pointed the way to Jesus. Redemption for Your people had finally arrived! Just as the people two thousand years ago searched for signs of Christ, so do we. And we praise You, God, that You still give signs of Christ in our lives: Majestic mountains. Powerful waterfalls. Smiles from babies and old people. Dancing. Music. Weddings. How nightfall closes today, and yields to the dawning hope that comes with tomorrow. The ways you comfort those who are afflicted, and in the ways you sometimes afflict the comfortable by your prompting on our hearts to obedience. But the greatest sign of Christ you gave us is the Redeeming Grace that was ushered in with his birth. For You so loved the world that You gave Your one and only Son, that whoever believes in him shall not perish but have eternal life. For You did not send Your Son into the world to condemn the world, but to save the world through him. Father, help us to live our lives in joyful gratitude for the gift of Your Son Jesus, today and always. Amen. May this Christmas day bring you and your families Hope, Joy, Love and Peace.